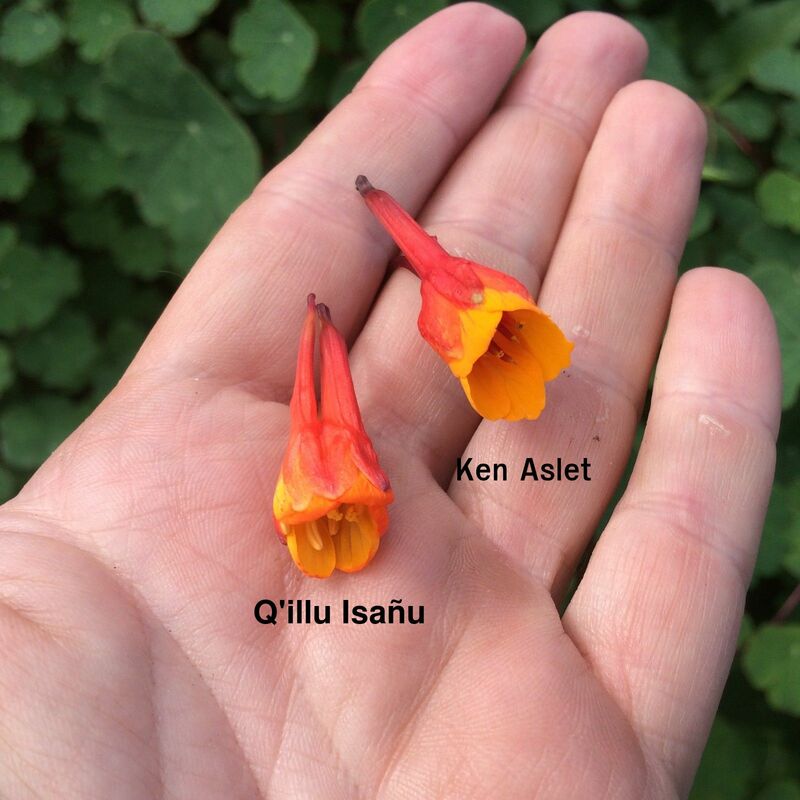 Q’illu Isañu is a variety of unknown origin, but presumably a South American heirloom. 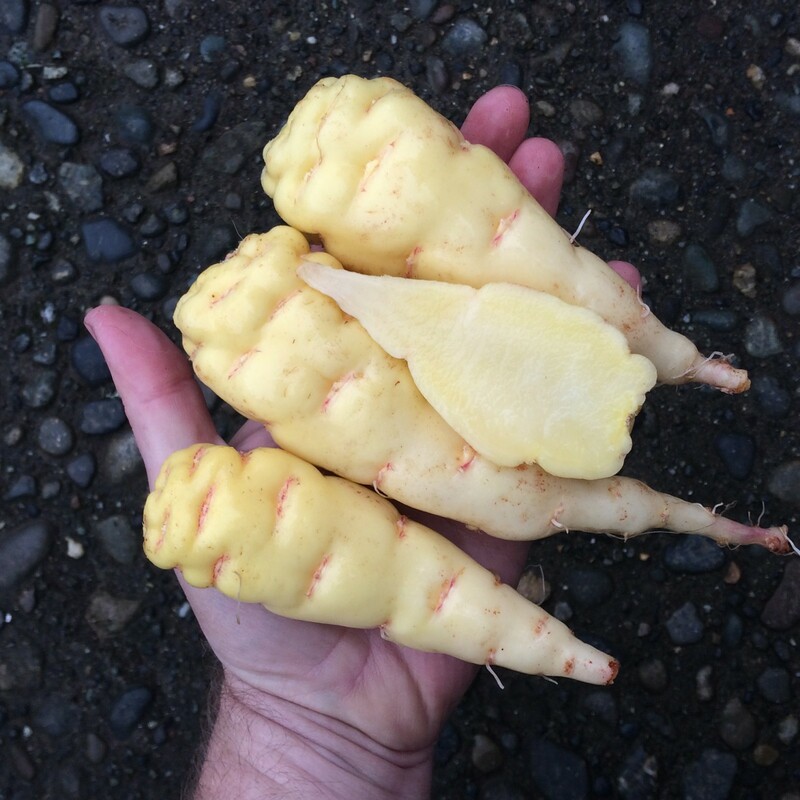 If you have been reading the catalog long enough, you may recall that I used to recommend against growing this variety, as my results with it were poor, but it has improved considerably over the past several years and now ranks among the better varieties. Q’illu Isañu has a very nice flavor that is slightly sweet with hints of carrot and caramel. It has no cabbagey flavor and no aftertaste. The cooked texture is soft and the color remains light yellow. Q’illu Isañu plants are intermediate in size, reaching about eight feet on trellis. 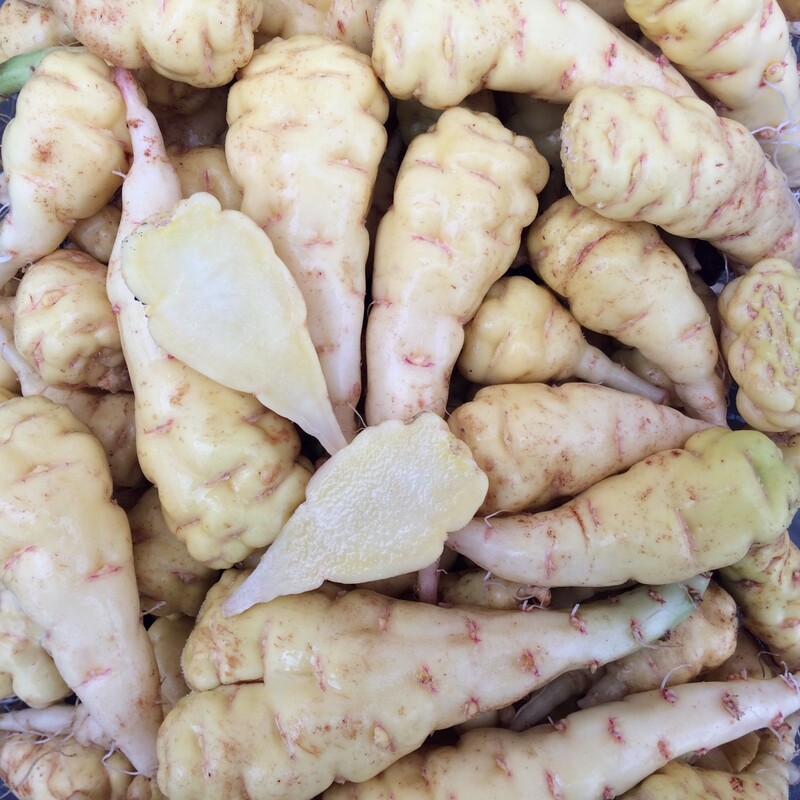 Yields are modest, usually in the range of three to four pounds, but the tubers can grow quite large, reaching up to ten inches. This is typically the earliest of the fall flowering varieties, beginning by the first week of October. The orange flowers are often double spurred.